David Spound, M.Ed., began to practice meditation in the mid 1970’s and, over the years, he has explored a variety of traditions for which he holds deep respect. For the past 12 years, the primary focus of his practice has been mindfulness. David has been Certified as a Teacher of Mindfulness Based Stress Reduction (MBSR) by the Center for Mindfulness in Medicine, Health Care, and Society at UMass Medical School in Worcester, the organization founded by Jon Kabat-Zinn, Ph.D., who originally created the MBSR course. 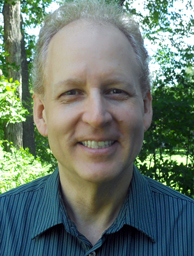 David worked at the UMass Center for Mindfulness from 2006–2013 where he served as a member of the core MBSR teaching staff and coordinated the MBSR teacher training and certification program (“Oasis”). In addition to teaching MBSR, David also develops and delivers mindfulness-based education and training programs for local educational institutions and businesses and he enjoys teaching online for those who live at a distance or who are unable to attend local classes. David has built on the solid foundation of mindfulness teaching and is also an MSC teacher.